Multi Candle Pin Candelambra by ENO STUDIO - Design Is This. 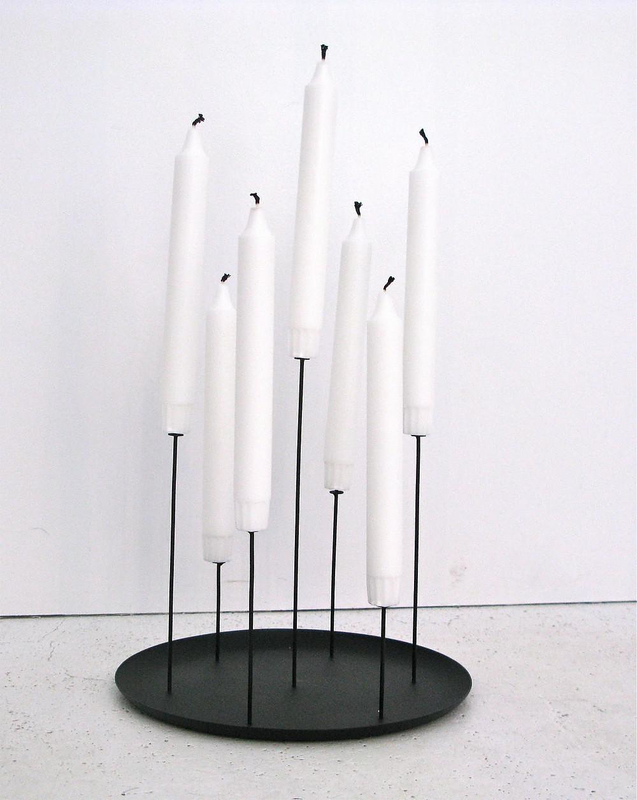 HomeBlogHome DecorMulti Candle Pin Candelambra, a pedestal for candles by ENO STUDIO. The Multi Candle Pin Candelambra designed by Sebastian Bergne for EΝΟ STUDIO is the perfect stand for candles. 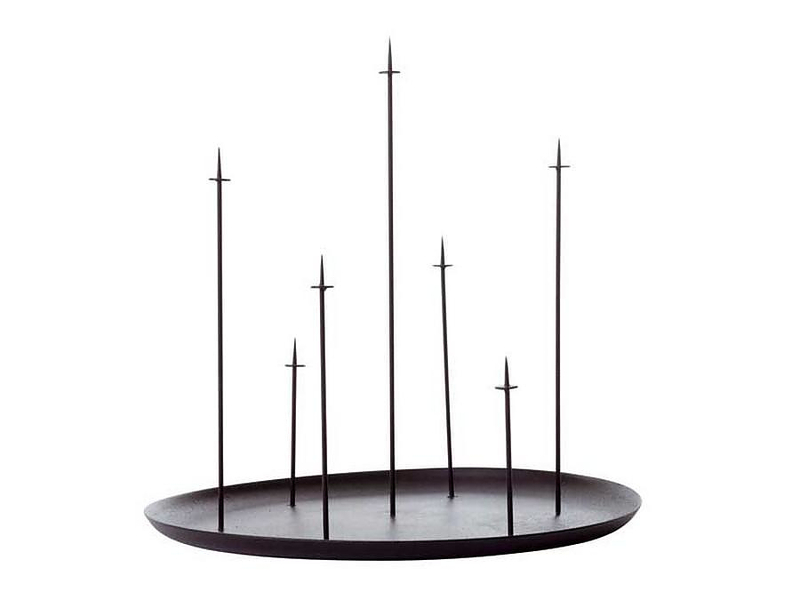 Its dramatic, almost theatrical appearance makes it the perfect pedestal for displaying a flickering flame. The stripped down structure belies its functionality: You can skewer all types of candles, from the smallest tea light to larger pillars. 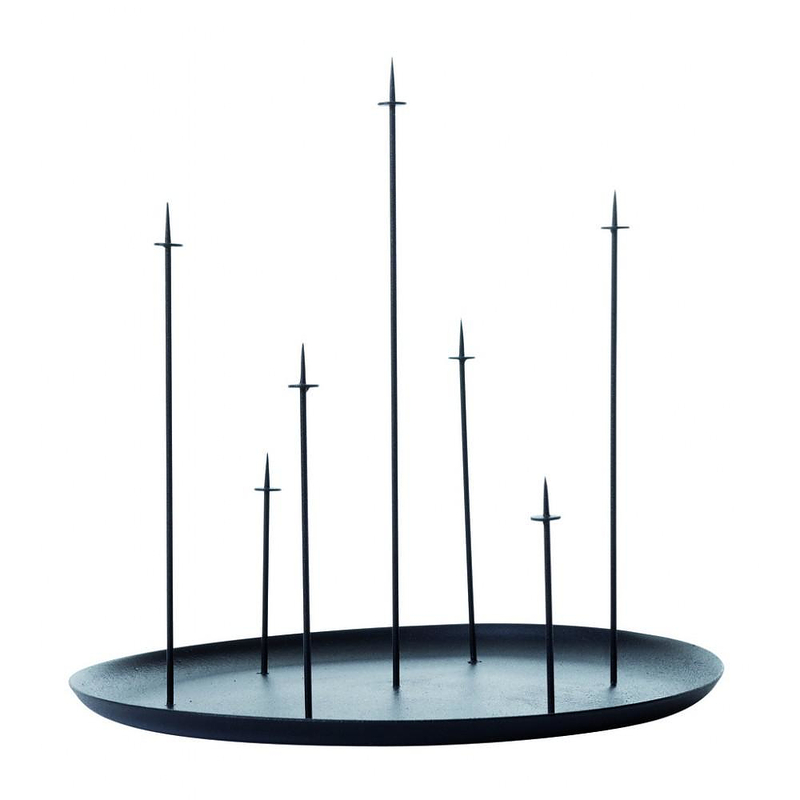 Each Multi Candle Pin is made of mild steel finished in matte black. This candelabra will easily fit into your living space and will create a special atmosphere. ENO (Editor of New Objects) is a new-coming French editor of objects signed by the most gifted current designers. Their philosophy is to create simple, beautiful, useful and curious objects to enchant our daily lives. Without any fashionable attitude, ENO emphasizes more the uniqueness and timelessness of the “Hand Made Design”- the collection is born from the unification of worldwide traditional know-how and modern design. 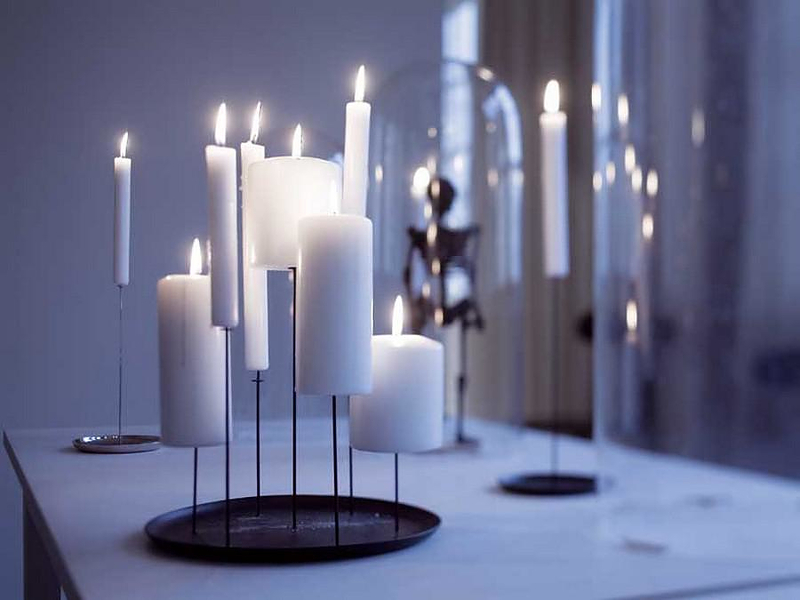 The Multi Candle Pin Candelambra is a perfect example of this philosophy, simple and practical, yet utterly unique and exclusive. Born in Teheran, where his father was a diplomat, Sebastian Bergne, 40 years old, is a graduate of London’ s Royal College of Art. He opened his own workshop called Bergne: Design for Manufacture in 1990. Ten years later he opens his 2nd personal studio in Bologna and he continues to work for large multinational companies.